This is no ordinary miso soup- it’s totally different to any you’ve ever tried. 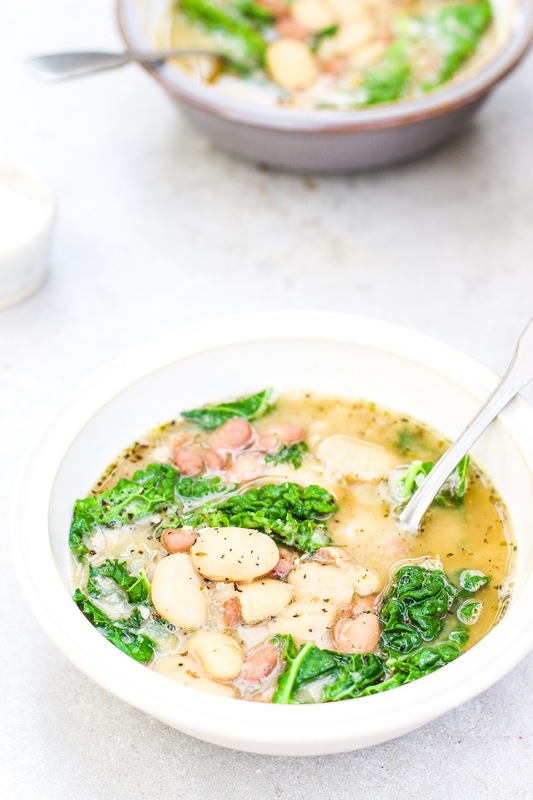 It’s herby and creamy and more like a rustic Italian bean soup, with miso added to give it amazing richness. It’s serious comfort food and perfect for dunking some sourdough into. Add the olive oil to a large pot on medium heat. Add the onions and garlic and cook for a few minutes, tossing often, until soft. Add in the dried oregano and thyme and toss well. Add the drained beans and a good pinch of sea salt and pepper. Toss well, then add in the stock and bring it to a simmer. Once simmering, add three ladles of the soup (including the beans) to your blender along with the miso. Blend until smooth. Pour the mixture back into the pot. Chop the greens and stir them into the soup until wilted. 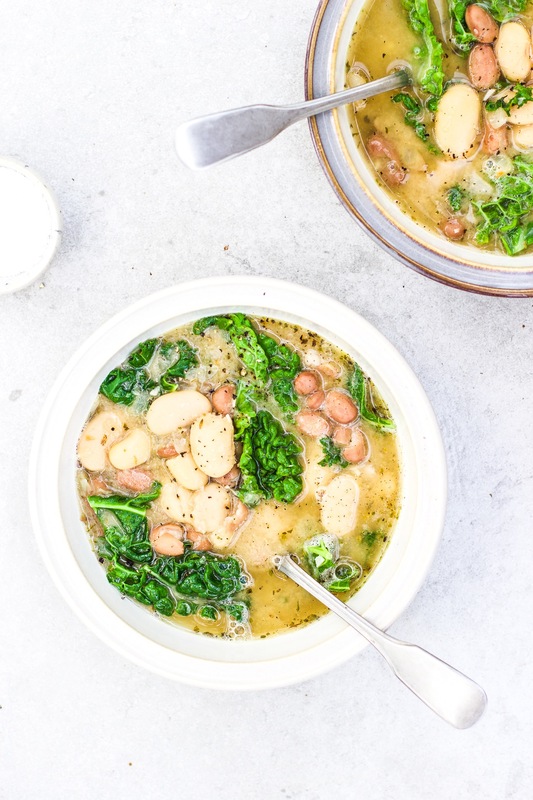 Totally love this recipe and cannot wait to try it at home! I have all the ingredients at home apart from kale/cabbage. Just made it nd it’s absokutrly delicious. Thank you!